Subaru’s pioneering work with electric vehicles has attracted a top award from Japan’s Minister of the Environment for helping prevent global warming. Parent company, Fuji Heavy Industries, received the ‘2006 Commendation For Global Warming Prevention Activity’ award. This is for developing the Subaru R1e electric vehicle in conjunction with Tokyo Electric Power Co., Inc (TEPCO) and NEC Lamilion Energy, Ltd.
FHI was commended in the technological development and commercialisation category for the jointly-developed Subaru R1e electric vehicle and its high-speed charger. 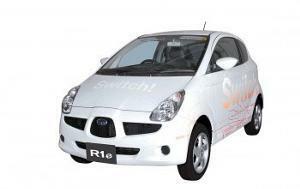 Significantly, one of the advantages of the Subaru R1e is its fuel efficiency. Daytime charging costs are half that of a typical hybrid car and if cheaper night-time electricity is used, recharging is a staggering one-fifth less than for a hybrid. The Tokyo Electric Power Company now plans to have 3,000 electric vehicles running in the Kanagawa prefecture within five years supported by 150 fast-charge stations. And as a consumer incentive, there will also be a 90 per cent reduction in car tax and purchase tax plus discounted parking and highway fees. Meanwhile, Subaru aims to spread its ground-breaking technology by licensing to other manufacturers.